The world recently lost one of its great icons. 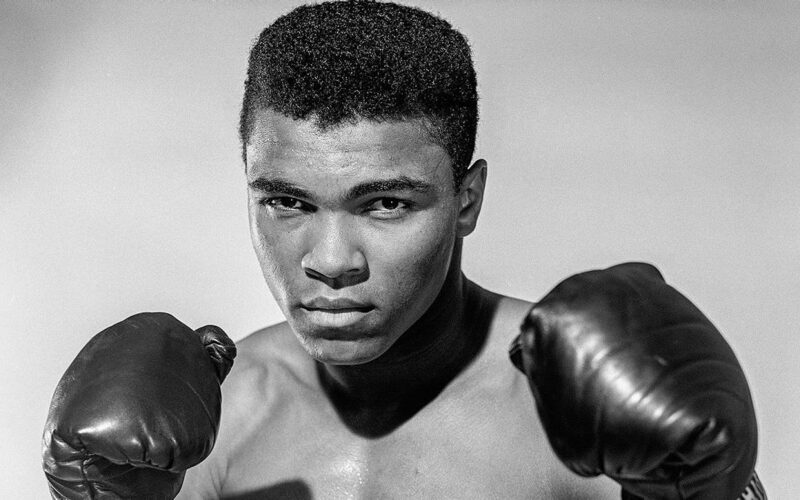 On June 3rd, Muhammad Ali (formerly known as “Cassius Clay”), passed away after a long battle with Parkinson’s disease. Ali has developed legendary status from generation to generation due to his accomplishments in the realm of boxing and his unique charisma. Ali was not only self-proclaimed to be the “Greatest of All-Time,” but he was and still is, in most eyes, the greatest boxer to ever enter the ring. Based on his dominance and captivation of the specific sport that he competed in, it could even be argued that he is the greatest athlete of all time. Ali was not your typical champion: he was a black superstar athlete in the Civil-Rights era, he was a pacifist in a time of war. If one were to examine Ali before his rise as an influential icon in society, he would not be declared as a typical trend setter. In fact, in his first heavyweight championship fight, 43 ESPN analysts predicted he would lose, with only three viewing him as the potential victor. In the words of Ali, “I am the greatest, I said that even before I knew I was.” He made true on his promise. What made this seemingly insignificant young boxer rise to the top? What was in Muhammad that the 43 analysts couldn’t see? His greatness could be found in more than just his boxing talent; but in a relentless attitude, an iconically unshakeable personality, and an embracement of his profoundly paradoxical persona. Ali approached the sport of boxing with a relentless attitude. This was seen in his work ethic- one of the key aspects that led to his greatness. “I hated every minute of training, but I said, ‘Don’t quit. Suffer now and live the rest of your life as a champion.’ ” Ali valued work ethic, whether he enjoyed every moment of working hard or not. Because of his approach and his view of success, he gave everything that he could to the sport. Ali was a gifted athlete (large and strong, yet quick) and a talented boxer, but he knew that to be the best at what he did, or even to be the greatest of all time, he would need to take his talent and potential farther than ever thought he could. All of Ali’s success has to do with how he handled his talent and athleticism by furthering it through relentless work ethic. This is a timeless concept that is almost necessary in order to achieve success, and it is a large portion of what made Ali great. Muhammad Ali was making his way through his boxing career during a very tension-filled Civil-Rights Era. He was more than just a great American athlete, but a great American icon. He was unshakeable. An unshakeable and extremely influential African American figure during this era naturally made him immensely influential in society. Ali was willing to stand up for his beliefs. This caused controversy throughout his life and career, but was an essential part of who he was. Ali’s willingness to embrace who he was manifested itself in the ring, but also in front of the public. Something of an anomaly, part of Ali’s greatness was because of his ability to self actualize his paradoxical nature both in and out of the ring. He was a world renowned fighter that refused to engage in the world’s fights. He was an individual vigorously committed to putting in hours of hard work, relying on this humble acceptance of his need to practice for his success, but also an individual sure of his charismatic ability. I only start counting [sit-ups] when it starts hurting. That is when I start counting, because then it really counts. That’s what makes you a champion. This Ali quote displays his seeming arrogance alongside his unpretentious grit. He boasted just as much wisdom and wit as he had confidence and charisma. Violent and peaceful, hard-working and provocative; Ali was an anomaly and he knew it. In the ring, was perhaps the greatest example of Ali’s complete self knowledge and control of his own fighting persona. Ali was known for possessing an indescribable level of poise that made it seem to opposing fighters as if they were being controlled and dominated mentally, just as much as they were being defeated physically. He always seemed to be one step ahead- intuitively predicting and analyzing his opponent’s next moves in order to put himself in the best physical positions to react. Boxers are told to match the uncomfortable position of fighting with their hands above their face for shielding. Ali developed a more comfortable and smoother style with his hands low, allowing for a speedier punch. This less cramped body position gave him less protection but also the ability to dance around the ring with spring and agility. Even with his hands low, Ali may have been the most protected boxer in the game. He knew his reflexes, speed, and dexterity were more than enough to get him out of any punch. He had the ability to box like lightweight with the body and strength of a heavyweight. His complete understanding of his dual nature made him the greatest. Because of his knowledge and awareness of his ability to float like butterfly, he was able to sting like a bee. Muhammad Ali was is not the template for greatness, but rather an example and an inspiration. What made Ali great was his awareness of who he was, how he embraced his persona, and how he capitalized his strengths. Ali accepted who he was, and in the confidence of his ability, he relentlessly pursued greatness. The boxing icon that is Muhammad Ali will be greatly missed, but not soon forgotten. Ali’s timeless greatness and unshakeable character will continue to inspire countless amounts of people all over the world.